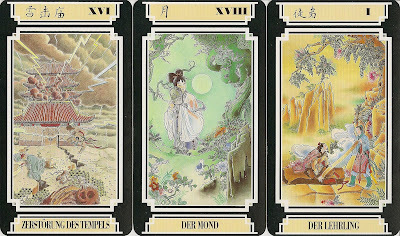 The deck is called "Tarot Chinois" in the French version and "Tarot und Chinesische Weisheit" in the German version, but it is not the same deck as the U.S. Games "Chinese Tarot". 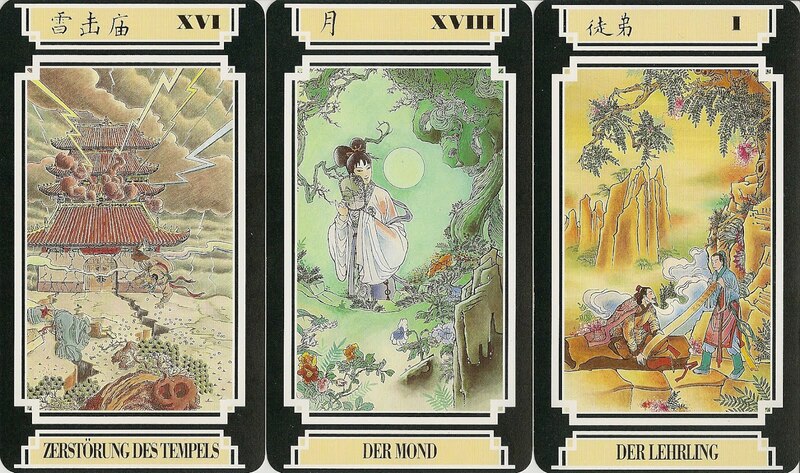 I would recommend the set with the full length companion book, because without the book it is hard to understand the meanings of the cards and the intended relation between the chinese philosophy and the tarot. 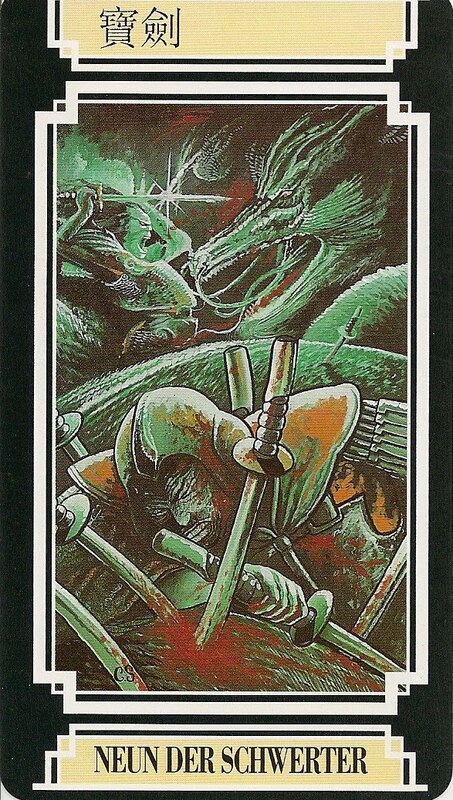 The top border has the card number and what appears to be the name of the card in Chinese for the Major Arcana, and the suit name (without a number) in Chinese for the Minor Arcana. 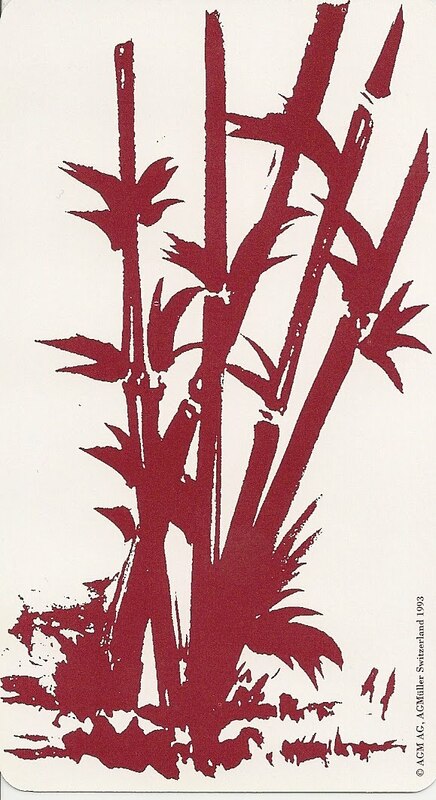 The bottom border has the card name in German.